Is your other half the object of your desire? Or is it oozing mozzarella and rich tomato on a deliciously doughy base that has you hooked? To help the nation decide with both their hearts and their tastebuds, Asda has introduced a NEW Love Heart Pizza– the perfect meal for a cheesy night in on Valentine’s Day. 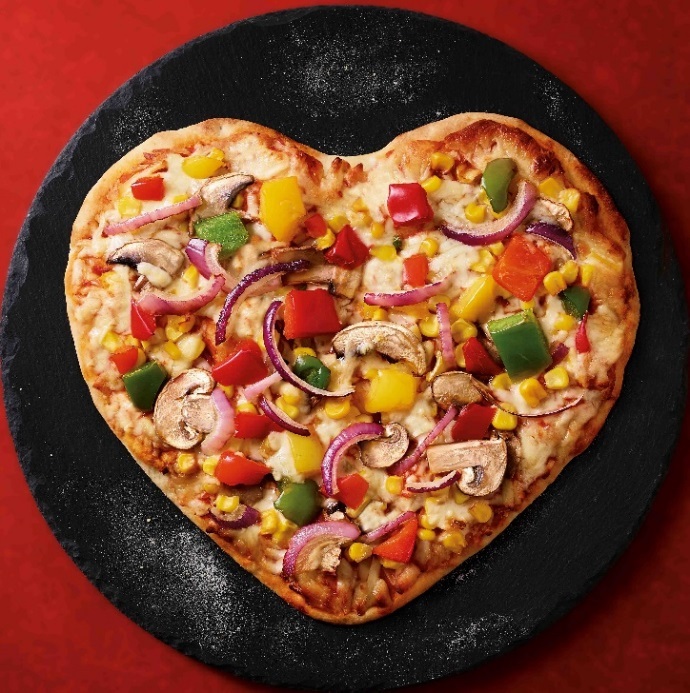 Available from the pizza counters in Asda stores, Brits can win their partners over with a crispy heart-shaped base, generously sprinkled with their loved-one’s favourite toppings for a tasty meal on the most romantic day of the year. For those looking for an extra-special evening, couples can even create their own pizza topping in select Asda stores. Whether a scattering of sweetcorn, pattering of peperoni or spray of sauce, couples can show their love for one-another with a personalised pizza created from their heart. Katherine Tunnicliffe, Pizza Product Development Manager, comments: “We are, without doubt, a nation of pizza lovers, with the teatime treat recently named the most-popular choice for Brits. Our Heart Shaped Pizza is the ideal meal to further this love for our favourite doughy dish, sure to steal hearts this Valentine’s Day. Starting from £2, Asda’s Love Heart Pizzas are also launching in-time for National Pizza Day on February 9th.